Put away the costumes, take down the set and dim the lights! Just like that, another production from USUE’s theater program is on the books. After the culmination of months of building the setting and characters of Rabbit Hole, Associate Professor Corey Ewan enjoyed a short breather before diving into the final production of the season- Rumors by Neil Simon. Though he feels audience attendance for Rabbit Hole was under what he would’ve liked, Ewan views the show as a success, and thinks that the members of the audience were able to “appreciate the humanity and realism of the show.” Tired but optimistic, the seasoned professor remains eagerly excited for Rumors and feels that it brings a different, but equally compelling element than Rabbit Hole. “It’s a farce, and it’s one of the most popular plays that is out there at the moment. I’ve busted a gut reading it and seeing it, I think it’s a really great show and people will have fun watching it.” Ewan describes the plot of the play as four couples celebrating the 10th wedding anniversary of the New York City mayor and his wife, when a complicated situation arises. The bulk of the story is the couples trying to figure out the route of the problem when none of them are being fed the correct information, and it makes for an outrageously funny experience for the audience. Though the above is certainly true and the heart of the play is harmless laughter, Ewan warns that as with Rabbit Hole, there are uses of mature language and more mature subject matter. “Everyone sees that it’s a farce, so they think ‘Oh, it’s all for fun, there’s nothing to worry about’ and it is all for fun, but there are quite a few uses of mature language and themes, and Neil Simon [author of the play] is very adamant about his script remaining unchanged and un-edited.” Basically, the directions for this play are to leave the young children at home and come witness a great play at the CIB Black Box. Drenched in sarcastic humor and great characters, this play gives the audience the unique opportunity to simply be a spectator amidst a world of hilarity and chaos for a night, and promises a night of honest fun for spectators. 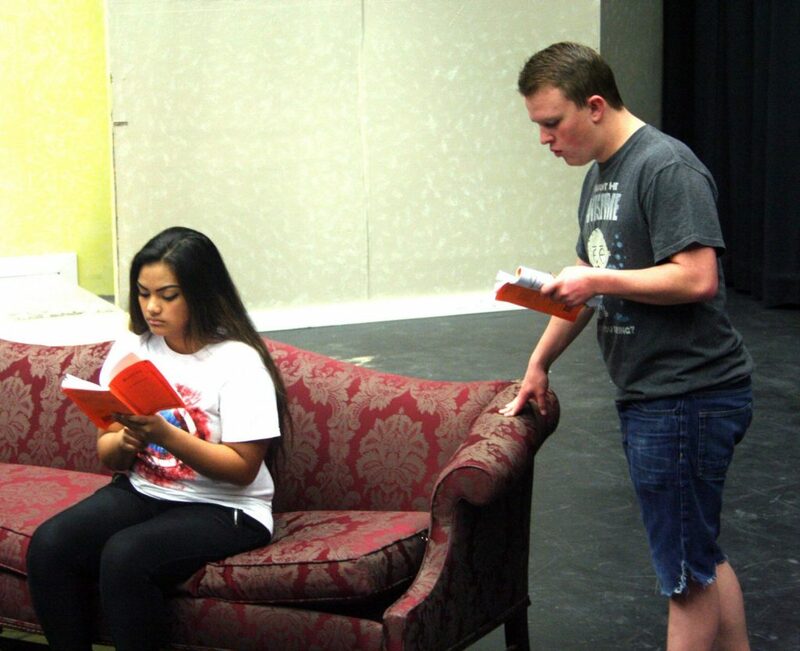 Rumors will run April 14-16 and 21-13 in the Peterson Black Box. Theater.